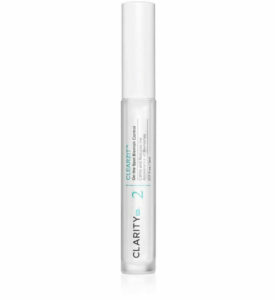 Instant Wrinkle Remedy contains a mixture of purified water and a cocktail of salts and natural clays to provide an instant, temporary smoothing and lifting effect for fine lines and wrinkles. What it is: This product contains a mixture of purified water, and a cocktail of salts and natural clays to provide an instant, temporary, smoothing and lifting effect for fine lines and wrinkles. 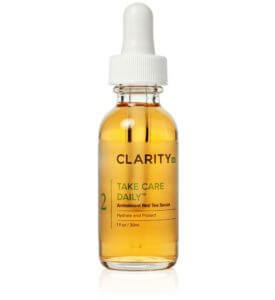 What it’s used for: The way it works is that whenever it is applied to the skin, the alkalinity of the ingredients cause the skin to constrict, which in turn can make the skin appear tighter. Daily Dose: Shake well. Apply your Daily Dose of Water™ first then your makeup and allow to thoroughly dry. As a last step, apply a small drop of the Instant Wrinkle Remedy™ to the area that you have fine lines and wrinkles and pat into the skin in an upward motion. Allow to dry for 5 minutes. If a white frost appears spritz the Take Your Vitamins™ Hydrating Spray to rehydrate. Use as needed. *We do not make any long term or therapeutic claims on this product. Use small amounts and only occasionally on the skin. Overuse of the clays may make your skin feel a bit dry. 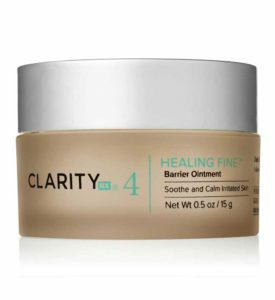 Ingredients: Purified water, sodium silicate, magnesium aluminum silicate, phenoxyethexyl, ethylhexylglycerin. 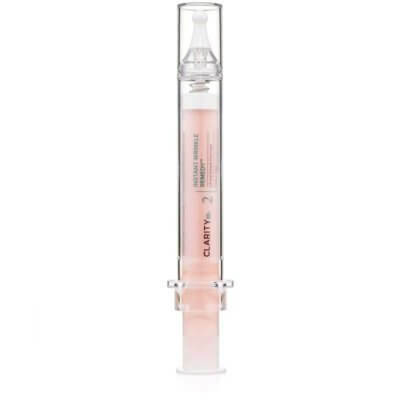 This product contains a mixture of purified water, and a cocktail of salts and natural clays to provide an instant, temporary, smoothing and lifting effect for fine lines and wrinkles. The way it works is that whenever it is applied to the skin, the alkalinity of the ingredients cause the skin to constrict, which in turn can make the skin appear tighter. Apply your Daily Dose of Water™ first then your makeup and allow to thoroughly dry. As a last step, apply a small drop of the Instant Wrinkle Remedy™ to the area that you have fine lines and wrinkles and pat into the skin in an upward motion. Allow to dry for 5 minutes. If a white frost appears spritz the Take Your Vitamins™ Hydrating Spray to rehydrate. Use as needed. *We do not make any long term or therapeutic claims on this product. Use small amounts and only occasionally on the skin. Overuse of the clays may make your skin feel a bit dry. Purified water, sodium silicate, magnesium aluminum silicate, phenoxyethexyl, ethylhexylglycerin.